We recently answered the question, how long should my blog post be? Now it’s time for us to answer an even more popular question: How often should I blog? Should I blog every day? Weekly? Monthly? Of course, it depends. But depends on what? Let’s break down the factors so you can answer this question for yourself. You may find it’s not as often as you thought. 1. How long is your sales cycle? In some industries, it takes months for people to make a decision. In other categories, they make decisions quickly. 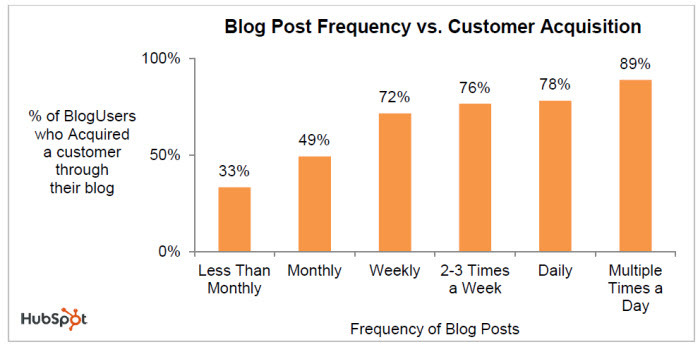 We recommend aligning your blogging frequency to the length of your sales cycle. How long would it take your audience to meet, fall in love with and hire a competitor? If it’s monthly, you should consider blogging every other week so you can stay top-of-mind. The minimum frequency is shorter than the sales cycle. 2. How long is your buying interval? Some products and services, people buy regularly. Other things, we only need once in a while. Some products are seasonal and purchased once per year. Others are purchased weekly or more. We recommend aligning your blogging frequency to the buying interval. How much attention does it take to stay top of mind for my company, until the moment when my services are needed? If it’s twice a year, you should consider blogging at least quarterly. The minimum frequency is shorter than the buying interval. Lots of marketers are not trying to get results from the web. They’re active in offline marketing, but not online. These marketers just need a brochure website and a minimal blog to give it a bit of a pulse. How often should these marketers blog? Quarterly or bi-monthly. A few marketers have big dreams of fortune and glory. This tiny minority are not looking to generate leads directly. Their goal is to build the largest audience possible, build a community, and dominate their niche. Eventually, they monetize this audience through premium content, events, book sales, affiliate marketing or advertising. How often should these marketers blog? Daily or multiple times per day. Blogs and email marketing go together. An email is really just a way to invite people to your blog. If the blog were a magazine, the email would be the cover. Make sense? But email frequency and blogging frequency don’t need to be the same. Blog posts may be published and promoted through search engine optimization best practices and social media sharing, but not email marketing. This makes sense when you’ve committed to an email frequency, but you have higher expectations for SEO and a surplus of relevant content. Example: this blog publishes new content twice a week, but sends an email every other week. Our readers like it that way! HubSpot research from 2011 suggests a high frequency for customer acquisition: 2-3 times per week. The results relative to the efforts begin to level off at that point. 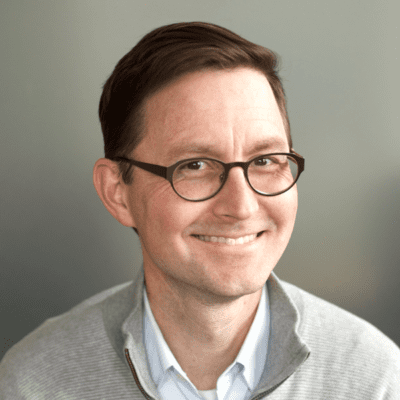 “There’s no denying HubSpot’s advice and data, but the formula falls apart if each and every post doesn’t rock. The answer I like to give clients is blog as often as you can post really great content that supports your marketing objectives. – Heidi Cohen, who sheds light on a related topic: when to publish. The minimum blogging frequency is whatever you can reliably commit to. It must be worse to have a blog without content than no blog at all. If you had a client with a dead blog, you’d recommend they take it down, wouldn’t you? “The number you have reached has been disconnected…” I think I’d rather not have a phone number at all! Yes, definitely. It creates the impression something’s wrong, or nobody’s home, as you’ve suggested. Business blogs are a tool for companies that have the resources to do it regularly and outstandingly. There are no exceptions. This is really useful information. Than you! My page is doing better when I post less. Mine too Dear Ester !